“There’s a great future in plastics.” It’s one of the most iconic lines from the 1967 classic The Graduate. But it’s more than just a movie line for Stephen Levy. It’s one of the prime reasons the Pittsburgh native chose to enroll at Penn State Behrend. 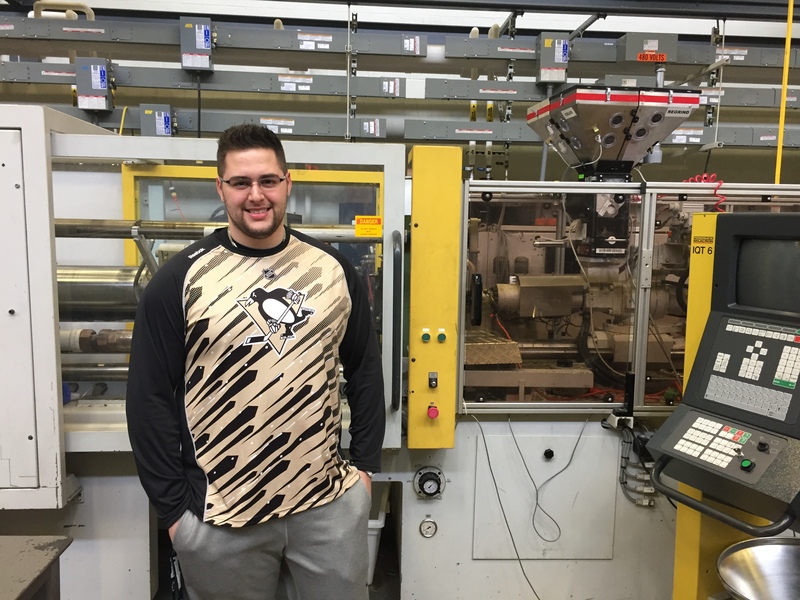 Levy, a senior plastics engineering technology major, has a passion for the plastics industry and his potential in it. This past fall, he displayed that passion by producing a video that ultimately took third place in The Society of the Plastics Industry’s Student Video Contest. The video was produced independently by Levy, outside of the classroom. The contest, which featured an “Innovating in the 21st Century” theme, tasked students with creating a two-to-four minute video that explored the future of the plastics industry in the 21st century in the areas of innovation, design freedom and the economics of plastics. Levy’s video, titled “Impact of Plastics on Society,” covered the benefits of plastics, touching on how plastic is more environmentally friendly than many people think while also offering a glimpse at what the future of the industry may look like. “There is just so much that can be done with plastics, especially when you think about the future and 3-D printing. That’s one of the main reasons that I wanted to pursue a degree in PLET because I see the applications for the future,” Levy says. Levy received a $3,500 gift for his third-place finish. He estimates he spent at least 10 hours working on the video, and he was satisfied with the final result. However, even he was a tad surprised when he received notification in late January that his video has been selected as one of three winners. This entry was posted in Around campus, Fun stuff, School of Engineering and tagged Behrend, Penn State Erie, Plastics Engineering Technology, PLET, Society of the Plastics Industry, SPI. Bookmark the permalink. ← Pi Day = Pie Day at Behrend!